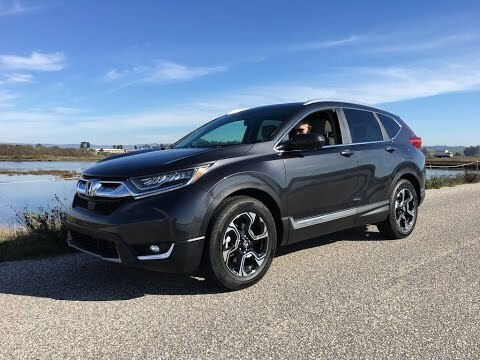 All new for 2017, the Honda CR-V improves its blend of practicality, efficiency, refinement and value to keep its benchmark status in a hot segment that includes the Toyota RAV4 and Ford Escape. Highlights include a new turbocharged engine that emphasizes efficiency, and a strong roster of amenities and safety features. Honda CR-V: comfort, efficiency, and seat warmers! My car's performance is absolutely amazing. It offers a very smooth ride and can go very fast without the loud engine noise. It is great for long road trips because the mileage is fantastic. Furthermore, the additional features on the car such as a backup camera and touch screen/GPS make it all the more great. I utilize the backup camera so much and the car even alerts me by making a beeping noise if another car is driving behind me. My car also makes the beeping noise as well to alert me when I am trying to switch lanes if there is a car in my blind spot. And finally, as I mentioned above, the GPS/touch screen is amazing for connecting your phone to! You can listen to music directly from your library and have complete control over the playlist by touching the screen or even using the built in controls on the steering wheel. While these are great features, I believe the best part about the car is the seat warmers. It is especially nice to have seat warmers when you live in place that has brutal winters! Overall, i�d recommend this car to anyone who enjoys comfort, fun, and efficiency. what i like: keyless car, the brake hold, the easiness to handle the car, the beeping sound when changing lanes when there are cars, back up camera, and i have the sensor to open the trunk using your foot, fuel efficient, safe, good design. What I don't like or complaint: cannot input GPS when driving. i understand it might be for safety reason but it should have options for passengers to do it for you like the old honda GPS. The GPS system needs to be fixed, like google map, it is confusing when the time to destination keeps changing (should be able to estimate it like google map especially on bad traffic, instead of giving you the normal time to destination and keeps changing every time). should be able to see the "red traffic" simultaneously on the map without touching anymore button. I hope the car can be faster. Safety features are great for seniors (and everybody else). It has a lot of safety features such as adaptive cruise control which keeps you a certain distance from the vehicle in front. Lane departure warning helps keep you in the lane and warns you if you stray. The backup camera display is excellent and you can see exactly what is behind you and the trajectory of your vehicle when you back up. It uses Apple CarPlay for navigation and other features on the vehicle. I have found it is easier to just use Bluetooth to play music off my phone or tablet. I have had problems with the program crashing and had to reboot a number of times. But I figured out the best way to use it for navigation. Sometimes it refuses to connect via Bluetooth and I have to delete the phone and reconnect everything. Frustrating and I have had to call Honda tech support for help a few times.